Hey folks - we all know that Slayer is the next big thing in espresso machine technology; with it's ability to adjust pressure during extraction at the group head, but has anyone played with temperature profiling? That is the ability to accurately adjust temperature during the extraction to see what impact this has upon the coffee? Surely technological advances would support this type of development but would production costs be prohibitive and would it be better suited to domestic or commercial appliances? I've often thought this too. The Aurelia (current WBC sponser machine) uses a basic heat exchanger followed by a mixer tap to set the temp at each of the groups. I don't see why it would be that hard to allow for the playing around of this mixer tap to allow for different temp ramps while the shot is pulling. 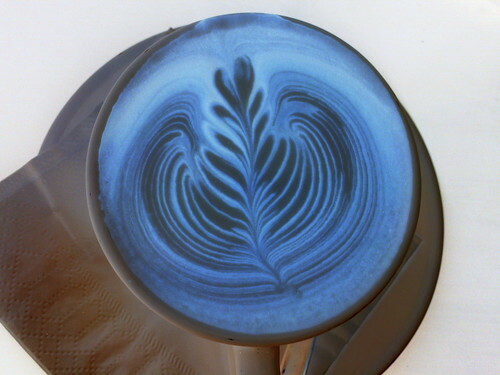 It was my understanding that the new Rancilio XCelsius can do this. Surely we need to see people trained and capable of using the equipment they have available to them now without confusing the issue even more. Noise about the Slayer certainly seems to have diminished a lot over the past 12 months. That is what they are claiming. Agree. But I see the ability to change temperature on the fly very useful. Some beans are nicer at a higher brew temp, some lower. A short black might be nicer at a lower temp but the barista meay want more acid to cut through in a latte and ups the temp. Changing a PID settings and waiting for the whole system to get there takes time. So temp profiling may not be that useful but to quickly change brew temp maybe useful.......... if the barista palate/skills are up to it. I think it was either CoffeeGeek or Instaurator that tweeted recently about temperature profiling during the shot. The interesting thing is the consensus was that a flat temp profile was the best. The Aurelia (current WBC sponser machine) uses a basic heat exchanger followed by a mixer tap to set the temp at each of the groups. There seems to be some confusion about this machine. The CoffeeGeek writeup on this machine seems to suggest that it's a regular HX and temperature changes have to be made via changing the boiler PID. The whitepaper certainly says the hot water uses a mixer to set the temp of water for long blacks/teas but not for brewing per se. Not to say you're wrong and there is no mixer tap for brewing, but certainly it's the first I've heard of it. My opinion of temperature/pressure profiling is that it's fiddling for the sake of fiddling. I think improvements such as the VST filter baskets and Extract Mojo etc which help us define and fix variables are probably going to do us more favours in the short and long term rather than introducing more variables.